Bizible announced the release of Bizible Discover at the ABM Innovation Summit this week. The new product, which will work inside Bizible marketing attribution and planning platform, is designed to help marketers visualize and examine buyer journey data and multi-touch attribution. The new Discover product, set to be released in early May, will be featured and demoed for the first time at the Marketo Marketing Nation Summit in San Francisco from April 29 – May 2. 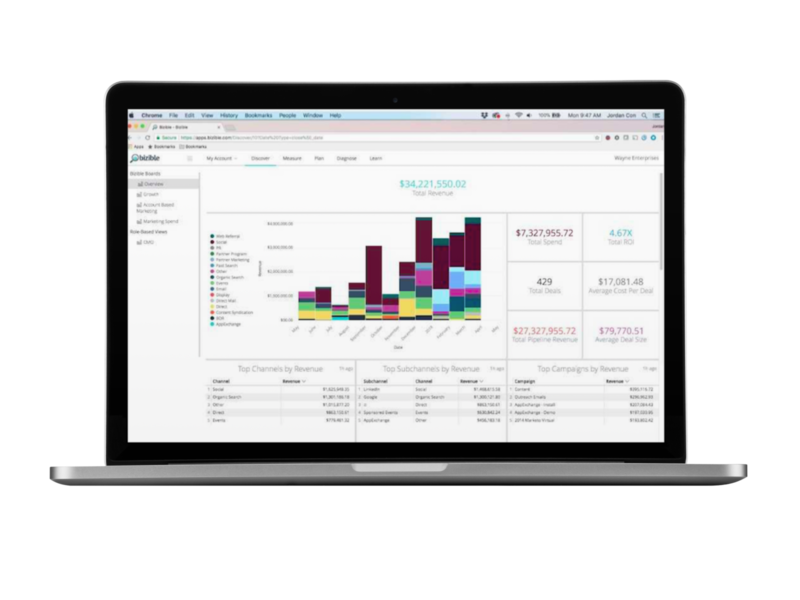 Bizible Discover will include granular filtering, persona-specific dashboards and sales funnel visualizations. Bizible Discover will also have new sales funnel, golden path and velocity views feature to help teams better understand their impact on the sales cycle. It is designed to help marketing and sales teams analyze anonymous and known web visits, page views and impression data to better understand every prospect’s interaction.